Save on everything from dump trucks to forklifts from Lynn Cain LLC. in Augusta, Arkansas. Our diverse inventory is mostly heavy equipment like bulldozers, loaders, excavators, and motor graders. But we also offer everything from roller skates to airplanes, and antique farming equipment to motorcycles. Our competitive prices provide great savings on a wide range of equipment. Customers must cover shipping costs. Equip yourself to handle the job with our selection of heavy machinery. We buy and sell heavy equipment, with most of the people we sell to preparing themselves for a new job or contract. We also sell to dealers who are replenishing their inventory. Our low overhead allows us to pass on the savings to our customers. 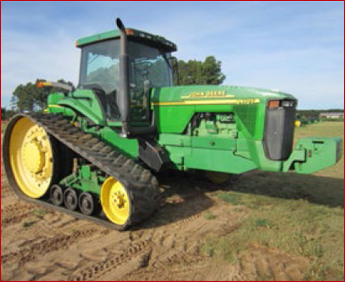 We handle new and salvaged equipment ranging in price from $10,000 to $150,000. Get the right vehicle for the job from our extensive inventory. We offer semitrucks, trailers, grain trailers, and an array of cars and pickup trucks. Whether you're gearing up for harvest season or preparing for a new job or contract, we have the vehicle to make your work more efficient. Our trucks, trailers, and automobiles are ready to go, and we also have vehicles you can use for spare parts.